Ain Dara is one of most evocative ancient sites in Syria. Set atop an artificial hill in a remote area between Aleppo and the Turkish border, it overlooks a lush valley. The relatively small numbers of visitors who reached the ninth century BC temple before the outbreak of the Syrian civil war would, after a climb, be greeted at the entrance by a colossal statue of a lion. Archaeologists believe that the building may have been similar in design to Solomon’s Temple in Jerusalem, as described in the Bible. 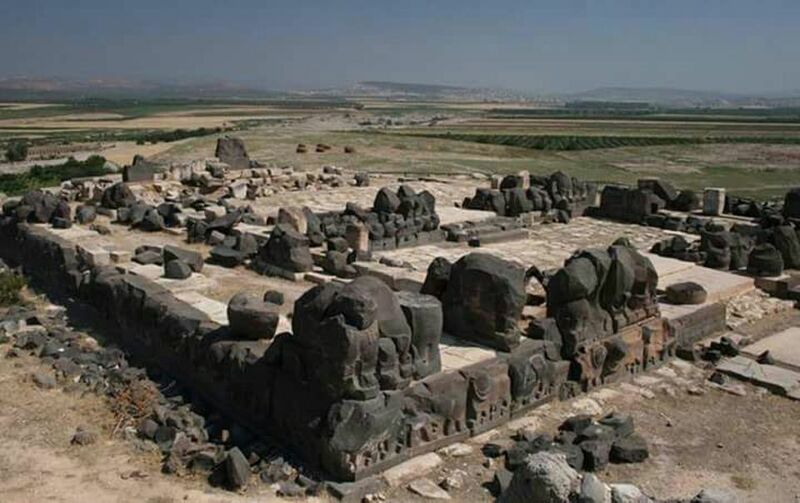 The remains of Ain Dara were discovered in 1955 and excavated in subsequent decades. Although most of the temple had been lost, the buried base with its lively relief sculptures of lions and sphinxes had survived in relatively good condition. The Turkish air strike hit near the main doorway to the temple, causing severe damage to the central and southeastern parts of the building. The site appears to have no military significance and the fact that the bombs destroyed the temple entrance suggests that the archaeological site was directly targeted. If so, this would be a breach of the Hague Convention on the protection of cultural property during armed conflict. 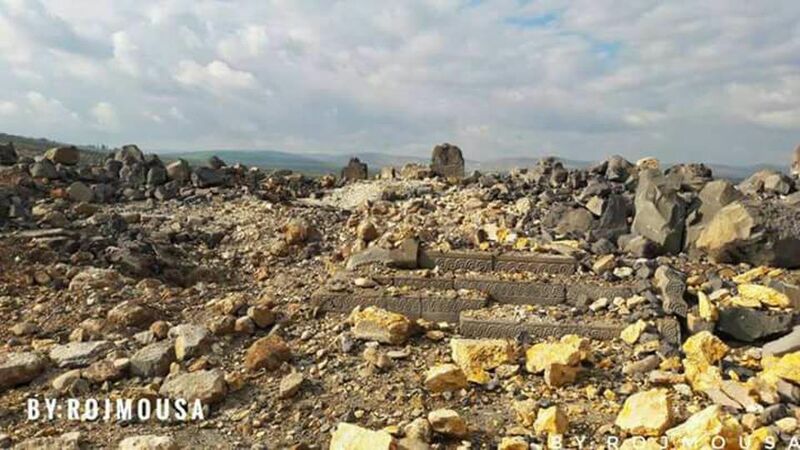 Syria’s ministry of culture has issued a statement which “condemns the Turkish attacks on archaeological sites”. It says the Ain Dara bombing “reflects the hatred and barbarism of the Turkish regime against the Syrian identity”. The full extent of the damage remains unclear. Photographs show that most of the lions and sphinxes on the southeastern facade appear to have been toppled and many have broken up or even been pulverised. At the entrance, near where the bomb landed, there were two giant one-metre-long footprints carved into the stone and it is not known whether these have survived. The Ain Dara site has been well recorded, so hopefully it should be possible to re-erect reliefs with minor damage and repair those which have not been too badly damaged, but many will be beyond repair. In the meantime, however, it is essential that the site is properly guarded. When Japanese archaeologists excavated the site in the 1980s they planned to cover the temple with a concrete structure. This idea was later abandoned, because funds were unavailable and it would have been extremely unsightly. A concrete cover would not have prevented damage, but it might have offered at least some protection against the Turkish bombs.